Seeing, hearing, touching, smelling, tasting is believing. 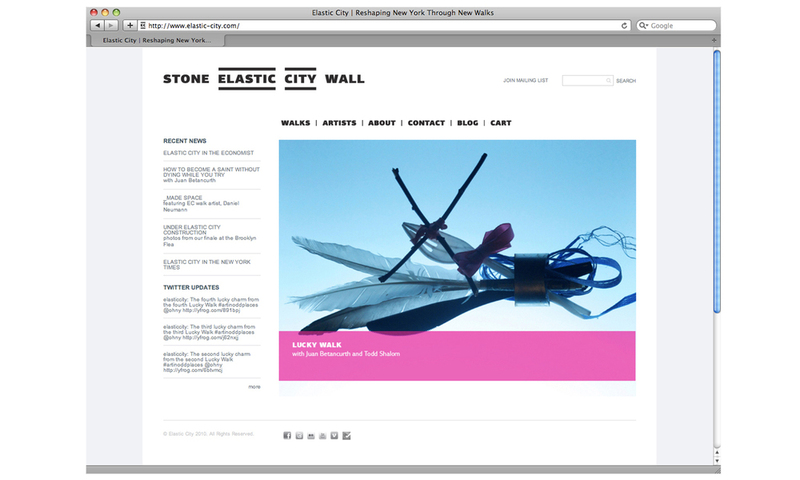 Elastic City’s sensory walks take place throughout NYC and transform how participants experience their beloved city. The identity hinges on the idea of creating poetry by reshuffling our expectations. Logo variations hint at neighborhood characteristics emphasizing the senses. 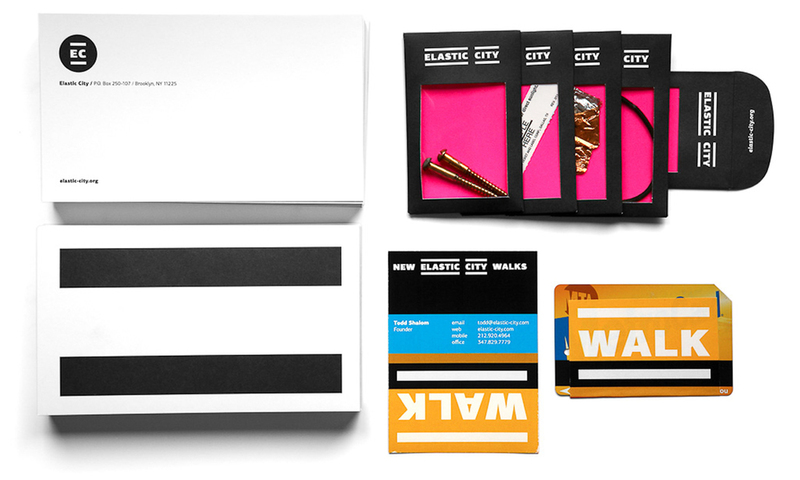 The result is a dynamic identity system that embodies gridded city streets and moves like its patrons. The bars wink at cross walks and painted lanes constantly moving to create new lines of poetry…. And the business cards recycle discarded MetroCards as ‘stock’.